According to ABC (Australia), Mephisto, a unique weapon of war and the only surviving German A7V tank from World War I, has gone on display at the Australian War Memorial in Canberra as part of centenary commemorations. Panzerkampfwagen 506, known as Mephisto, was part of the initial German tank detachment which participated in the first German tank attack at St Quentin in France. 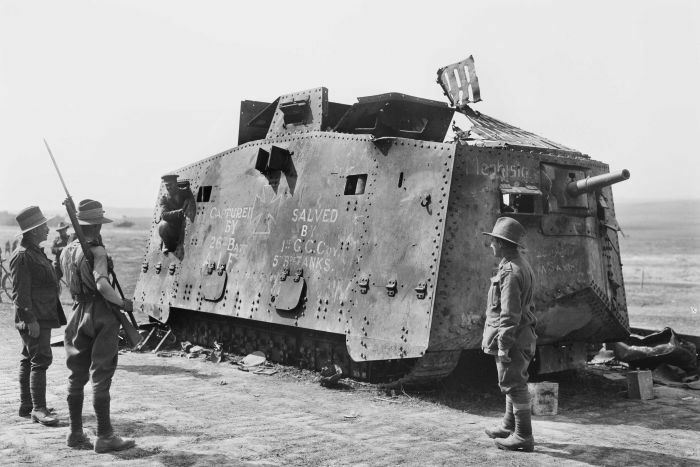 In its second and final battle at Villers-Bretonneux, the Mephisto tank was disabled and abandoned on the battlefield. Now the rare tank has been moved temporarily to Canberra to mark the 100th anniversary of significant WWI battles.